GENEO PHZ (passivhauszertifiziert = certified for passive house) window profile system is the next generation of GENEO. 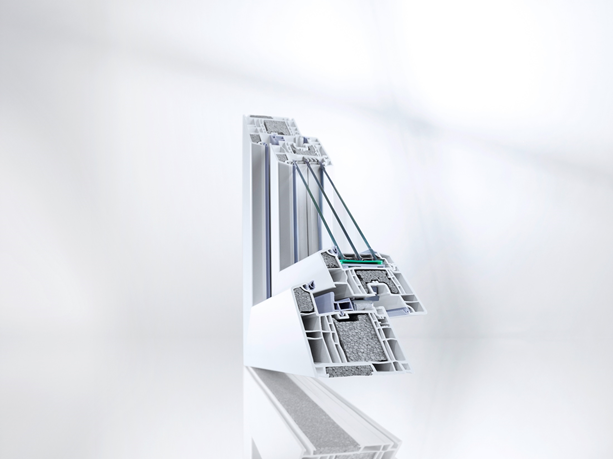 Thanks to the introduction of thermal modules into profiles and special sealing, GENEO PHZ becomes a certified window solution for the passive house. In addition, the profiles retain all the benefits of GENEO - despite the extremely high requirements for thermal insulation. The best possible level of sound insulation without steel reinforcement, achieving previously unattainable values (glass 50 dB = Rw,P 47 dB) for sound insulation class 5 – and including optimal thermal insulation. Break-in protection up to resistance class 3. Without steel reinforcement, resistance class 2 – including optimal thermal insulation. thus ensuring long-term value for your property.